Celebrating Charlton’s history: Should these SE7 landmarks be locally listed? 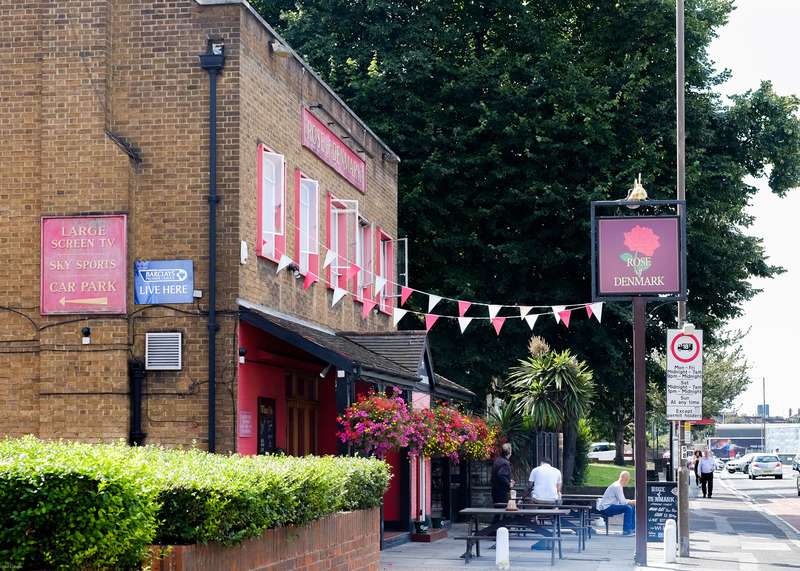 Could the Rose of Denmark pub be added to Greenwich Council’s Local Heritage List? We’re grateful to Charlton Champion reader BECKY HOLMES for submitting this post on Greenwich Council’s consultation on the area’s historically interesting buildings. Greenwich Council recently invited nominations for Local Heritage Listing – and has just opened a public consultation on the “architectural, historic and environmental” merits of the proposals. Interestingly, it’s the first time the council has received nominations from community groups and individuals, while be be considered alongside its own proposals. The Lee Forum and Positive Plumstead Project groups have both contributed. I found out about the heritage listing by chance, after getting in touch with the conservation team on the Charlton Riverside Heritage Consultation. It felt like the conservation effort should cross Woolwich Road and by a bit of luck this opportunity came up. I haven’t lived in the area for long but I already feel really protective over it – slightly unloved and riddled with traffic pollution, but with an amazing industrial heritage and lots of interesting details. It’s an underdog at risk of losing its identity due to over-development. A few favourite local nominations include the Angerstein freight railway crossing and alley by Fairthorn Road – built in the 1850s by local landowner John Julius Angerstein so workers could better access Combe Farm, which sat at the bottom of Westcombe Hill (Angerstein’s collection of paintings funded the National Gallery). Locals still cross here everyday. It’s modest and unpretentious and that’s why it suits the area so well – like something out of a Famous Five novel. It’s a breath of fresh air next to the concrete traffic jams of the A2. Despite walking through the dim alley at dusk, hoping that the person behind is a friendly commuter and not an axe murderer, I’d hate to lose it. Similarly, the strip of old factory walls and old doors on Ramac Way have a time-worn feel to them. As the last factory walls standing, they feel like a poignant reminder of the need to preserve local industrial heritage and that this area hasn’t always been a place to buy stuff but a place where we made stuff – useful stuff! Transatlantic electrical cables, shipping propellors, batteries, Bakelite telephones as well as Airfix kits, the stuff of childhood dreams. The Rose of Denmark pub also feels like an unsung hero. Its post-war styling is very evocative of the area and style of the old Valley ground. Characterful heritage buildings are at risk with all the new development – nowhere feels safe from redevelopment! Hopefully by adding more heritage spots, more people will appreciate the history of the area – and it might help encourage sympathetic development in the months and years to come. Have your say on the architectural, historic and environmental value of the nominations.The consultation documents are available online here. Comments on the architectural, historic and environmental merits of nominations should be given by email or post, by 5pm on 30 October 2018. Find out more and view Greenwich Council’s current heritage list here.